Each resident of the United States is subject to the same federal taxation laws. These laws include income, gift, estate and employment taxes. But tax liability at the state level can vary dramatically, depending on the state where you live, work or engage in economic activities. State governments have significant flexibility in how they choose to implement income, sales, property and other types of taxes. Whether you’re pursuing an advanced degree in taxation or want a better understanding of the U.S. tax system, discover some of the ways state tax codes differ from one another. Seven states have no income tax — Alaska, Florida, Nevada, South Dakota, Texas, Washington and Wyoming. 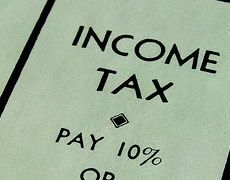 According to a 2015 report by the Institute on Taxation and Economic Policy, New Hampshire and Tennessee forgo taxes on wages, but impose taxes on other forms of income. Three states — Illinois, Indiana and Pennsylvania — have a flat income tax, meaning the same tax rate is applied to everyone. The remaining states have a graduated tax structure, where rates of taxation vary depending on income level. In addition to these structural differences, tax rates vary greatly among the states. For example, TaxFoundation.org reports that North Dakota’s top individual income tax rate was 3.22 percent in 2014. On the other end of the spectrum, California’s highest individual income tax rate that year was 13.3 percent. In looking at state sales tax policy for 2015, TaxFoundation.org found that five states — Alaska, Delaware, Montana, New Hampshire and Oregon — have no sales tax, and of these, Delaware, New Hampshire and Oregon also prohibit local governments from levying sales tax. As with income tax, California has the highest state sales tax rate in the country at 7.5 percent, while Colorado has the lowest rate of states that charge sales tax, at 2.9 percent. The cost of some goods may also include excise tax. Excise taxes are levied based on item quantity, such as the 18.4 cent-per-gallon federal excise tax on gasoline. As Alexander E. M. Hess explained in USA Today, some states levy excise taxes on “sin products,” such as cigarettes and alcohol, with the goal of deterring undesirable behavior in addition to raising revenue. While Alaska, Delaware, New Hampshire and Oregon have no sales tax, these states levy excise taxes on alcohol and other goods, as illustrated by TaxFoundation.org. A significant portion of tax revenue for most state and local governments comes from property taxes. Property tax rates also figure heavily in analyses of the best and worst states to live in from a tax perspective, evidenced in a recent analysis by Erin Carlyle for Forbes.com. In 2015, New Jersey had the highest median property tax rate in the nation at 1.89 percent, while Louisiana had the lowest at 0.18 percent. Some states allow homestead exemptions, which may exempt a flat amount of property value from taxation, lowering an owner’s liability. State tax codes vary in many ways. In addition to variations in income, sales, excise and property taxes, states may enact different policies for payroll, estate, inheritance, gift and other types of taxes. Learn more about state taxation in Villanova’s advanced tax degree programs.